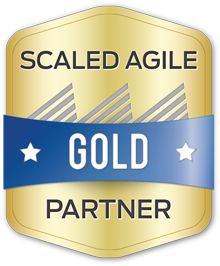 In this course Leading SAFe, you will gain the knowledge necessary to lead an enterprise agile transformation by leveraging the Scaled Agile Framework, and its underlying principles of lean thinking, and product development flow. You will leave with an understanding of how the principles and practices of the framework support Lean Thinking, Agile Development, SAFe ScrumXP, Agile Release Train, Agile Portfolio Management, Agile Architecture, and Scaling Leadership. Attending the course prepares you to take the exam and become a certified SAFe® Agilist (SA).